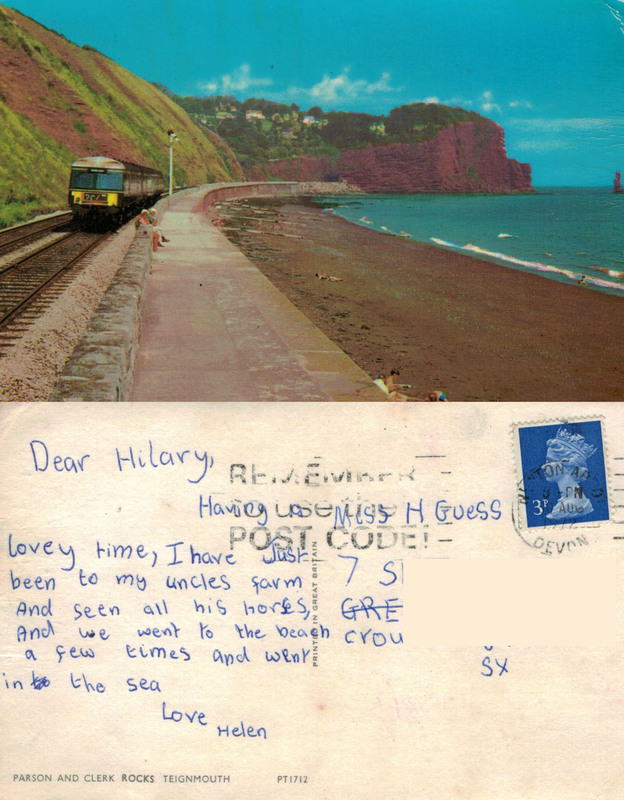 This entry was posted in Uncategorized and tagged beach, communication, friends, history, holiday, love, media, postcards, sand, sea, stamps, Teignmouth, train, writing. Bookmark the permalink. Good to hear from you 🙂 Was recently in Italy and made a big effort to stop, select, buy postcards; source post office for correct stamps; then find time to write; then a couple of days to find nearest post box… took the whole week, but was very satisfying!